As The Episcopal Church descends into organizational chaos, the 815 leadership searches for a scapegoat to take the laity's mind off the little dustup. At the last House of Bishop's meeting in South America (no kidding), the former bishop of Lexington and now COO at 815 Stacy Sauls took a major PR stumble when he made a presentation to the House of Bishops calling for a Constitutional Convention before Bishop Schori leaves her post in 2015. It was met from a rather fascinating coalition of outcries by Episcopal Church social justice activists and institutionalists alike. So as that outrage has been heating up in recent weeks, what do the powers that be have to do to respond but to return to the old playbook of bread and circuses. Call the litigators! Call the minions! Wake up the President of the Disciplinary Board for Bishops! Got to turn the spotlight off the 815 infighting - so what to do? Wait - let's go after Mark Lawrence! Yeah, that's it! South Carolina boo hoo hoo! Okay, call in the usual suspects, have them file the usual papers and line up the usual complaints and get the Executive Board (who is not so very happy about Bishop Saul's going down to South America to chat up the House of Bishops before talking to them) all riled up again for the debut of TITLE IV RETURNS! Whoo hooo!! It may be interesting to know that Mark Lawrence is a big time Bob Dylan fan. The last time I saw Bishop Lawrence we were all part of a group singing tunes from Dylan's Modern Times album while in Canterbury, the dust of Lambeth 2008 only just beginning to settle. The Dylan tunes will come in handy - that's one guy who knows what's it's like to get booed for telling the truth. On Thursday, September 29, 2011, the Bishop received communication from the President of the Disciplinary Board for Bishops that “serious charges” have been made under Title IV of the Canons of The Episcopal Church. These are allegations that he has abandoned The Episcopal Church. Since several of these allegations also include actions taken by the Convention of the Diocese of South Carolina, after sustained prayer and discernment, it has seemed appropriate to both the Bishop and the Standing Committee to make these allegations available to the members of the Diocese. These allegations may be found on the Diocesan website here. Subsequently, the President of our Standing Committee, the Very Reverend Paul C. Fuener, received a letter from the Church Attorney assisting the Disciplinary Board seeking “Records maintained by the Standing Committee of the Diocese of South Carolina.” This letter may be found on our diocesan website here. In order to understand the possible implications and to engage in corporate prayer for the diocese, I, as Bishop, have called a meeting of all our active and canonically resident clergy for this coming Tuesday, October 11, 2011 from 10 a.m. —12:00 noon at the Ministry Center of St. James Episcopal Church, James Island. Rest assured we will do all in our power to defend gospel truth and catholic order. We and the members of our Standing Committee ask your prayers for God’s guidance and wisdom. So of course, what Dylan tune to play? That's Thunder on the Mountain, by Bob Dylan from his album, Modern Times. By the way, as Christopher Setiz notes, it is again the usual plan with the usual suspects. As the organizational infighting is gaining speed (the latest is that the House of Bishops isn't really a house, just a bunch of purple shirts getting together to swap howdies from time to time, bet that went over real well) the need for bread and circuses takes on a fever pitch, but we can't just put the laser beam on Bishop Lawrence all by himself, that would be so mean. So let's find a real nasty bishop, no matter that he's retired or that that other diocesan bishops might be married not once, not twice, but three times. So off we find retired Bishop Warner in the Grunge City of Seattle - okay it may be a bit odd to do the press releases for him since Bishop Warner is retired and probably thought he was just engaging in the "mutual joy of a committed, supportive, loving relationship" which is supposed to be all the rage in the Episcopal Church, well for some, not for others. Oops. So now that Bishop Warner gets the heave-ho (and it reminds me of another bishop who divorced his wife of four decades too, but he got two thumbs up), the 815 laser beam turns to the real target. Just like last time - and in case you've forgotten what the next step is, remember this. Of course, this time they are in the land of the Swamp Fox. Might want to consider that. UPDATE: ENS now has an article up. They take pains to say that no one from 815 was involved in the matter, but in fact the Executive Council is very much involved (having worked up a resolution in 2007 and finally telling South Carolina that it applies to them too and Bishop Lawrence responded) and Bishop Katharine Jefferts Schori is the President and Chair of the Executive Council and Bonnie Anderson, President of the House of Bishops, is the Vice Chair. It's a strategy to have Disciplinary Board for Bishops handle it, last time Bishop Schori got into deep waters when she tried to ring up three senior bishops to take out Bishop Duncan and the majority voted no. It turned into the Bishop Schori show and obviously now that she has her own litigator on staff, they have rethought that strategy. The part that really comes to the surface is this, "In late May, a group of South Carolina Episcopalians asked Jefferts Schori, House of Deputies President Bonnie Anderson and the Executive Council to investigate the diocese's actions." Does anyone think that this "group of South Carolina Episcopalians" were just sitting around Starbucks one day and said, golly, we need to write Bishop Katharine and Bonnie and tell them stuff. No - this is how "community activism" works. The community organizers initiate the action and recruit. This "group of South Carolina Episcopalians" are actually activists with "South Carolina Episcopalians," originally organized as the Episcopal Forum in South Carolina as part of the ViaMedia group, it is a progressive community action group designed to be an extension of 815's litigation strategy. 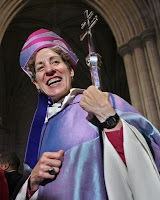 Activist Melinda Lucka, who is the person designated to make the formal complaint, is with Episcopal Forum as well as the South Carolina Episcopalians. 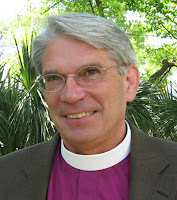 Once Mark Lawrence is deposed, Episcopal Forum/South Carolina Episcopalians will be set up as the shadow diocese's standing committee for the litigation (i.e., Pittsburgh, Ft. Worth, San Joaquin). That's the strategy - the same strategy over and over. And 815? That's where the cash flow comes from. By the way, you can still see minutes from the Via Media Steering Committee, September 29, 2005 here. Reading it you can see that after six years the strategy has remained the same. It still makes for interesting reading. Obviously, this needs to be dealt with before General Convention next year because TEC will need to have in place their shadow diocese deputies to attend General Convention (can't have the media asking questions about why the Episcopal Diocese of South Carolina didn't show up for General Convention- especially since the Episcopal Diocese of New Hampshire is having another bishop's election to replace Gene Robinson and again have timed it to require consent from General Convention - don't want to have disunity on display this time!). 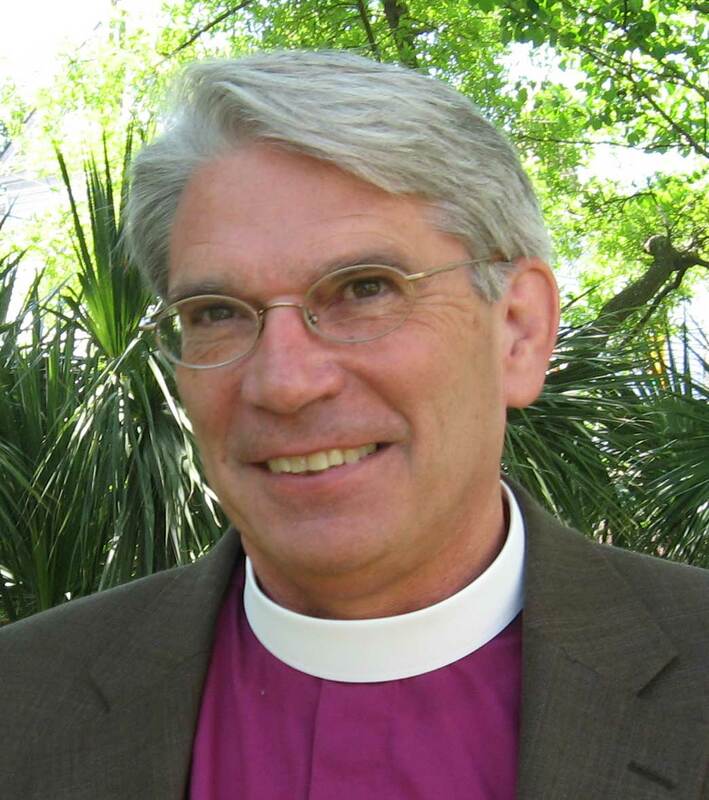 With the media (and hopefully Episcopalians') attention now focused on South Carolina, the growing disarray of the Episcopal Church reorganization plans and all its angst will take a back seat. Brilliant! A sad development indeed. +Mark J. Lawrence remained in TEC as Loyal Opposition and now he's receiving his thank you note from 815. I trust the Almighty will remember his perseverence. It's a sad day when one realizes that Bishop Lawrence is about as orthodox a bishop that is left in the Episcopal Church. He should correctly be considered liberal - he ordains women and uses the 1979 BCP. The seismic shift in culture means that he passes for orthodox in the new culture of the Episcopal Church. Sad sad days. I did send a message to his Canon to the Ordinary offering my prayers for him and the clergy in this stressful time. Good luck Your Excellency! Loyal Opposition or Boll Weevil, Andy? Depends on your standpoint. K - a lot yet remains to unfold in this story and I'm not sure I fully grasp it. I do feel confident enough in my reading thus far to say that it is highly likely that the trigger point for whatever this process is (and I am very unclear as to who started this and where we are on the process curve) is not differing views about orthodoxy, but concern that dissident South Carolinan episcopalians have been attempting to dismantle provisions and instruments of governance that would enable them to depart as a Diocese and to take property with them. There may be an entirely innocent explanation, and friends whom I respect assure me that Bishop Lawrence is intent on remaining within the Episcopal Church. We need his voice within our councils. That would please me greatly. Nonetheless, I can understand the concern, given recent events (e.g., renunciation of diocesan and national canons etc). Let's hope that this all goes away quickly when Bishop Lawrence makes clear his intention to stay within the church and dispels critics who wrongly (I hope) believe he is scooching toward the door, but is doing so while undoing legal constraints that have caused efforts to take over property in California, Ohio, Connecticut, New York, Georgia etc. to fail. It is not a pleasant prospect for anyone, frankly, that this will rage on for any extended period of time. I am very sorry to see it. Scout, I understand, perhaps mistakenly - if so, someone please correct me - that Mark Lawrence no longer attends national TEC meetings. If so, his voice is not going to do a whole lot of good within our councils. I don't know anything about that, Rabbit. However, I have been told by people I respect at T19 that he is steadfast in his stauts as a continuing Episcopalian. If so, I think whatever this process is will evaporate quickly. The unfortunate thing is that any objective observor can see why the national church authorities, or other Episcopalians within the diocese might be concerned that all the machinations of renouncing canons etc look (perhaps misledaingly) like a faction within the diocese is positioning to jettison legal constraints on an exit with property. It would take a kind or moral and ethical eafness and blindness for people to do that from within the church. Any responsible member, especially clergy, would leave within thirty seconds of realizing they have reached the point where they cannot stay. I think more highly of Bishop Lawrence and his colleagues to think that they would behave like that. And I do think it would be very good for the Church to have their continuing voice. This may prove just to be a misunderstaninf, but one heavily fueled by actions within the Diocese. It's incredibly difficult to know where the truth is in all of this mess. I do know that there are secessionist forces in the SC diocese that are salivating over the opportunity that recent actions may provide. They've been spoiling for the fight and just waiting for someone to fire the first shot. Whoever the short-sighted souls who kicked this hornets' nest are, you have my scorn! There are historical realities in play in SC that will make it much, much more difficult for the National forces to prevail in this fight and some very wealthy interested parties who will be more than willing to fund the cause. Whether Bishop Lawrence is at the root of this (and I tend to think he is NOT) remains to be seen. What this fight will do is to take a terrible toll on churches that are just trying to survive and go about doing the work of Christ on a daily basis. I chose to become an Episcopalian, and I would dearly love to remain one. Truth is, I'm rather progressive, but I'm working hard to live peacefully and IN CHRIST in my very conservative diocese. It's hard for me to see how all of this can end well for those of us in the trenches.